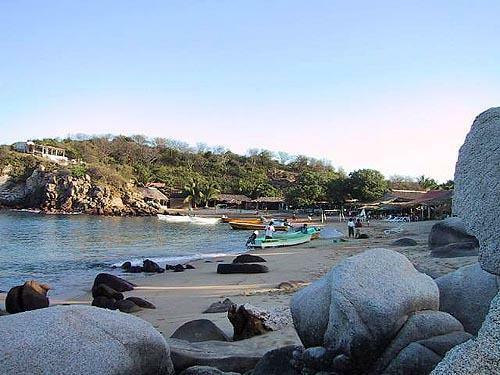 Bahia San Agustin is a must visit during your stay along the Oaxaca coast. 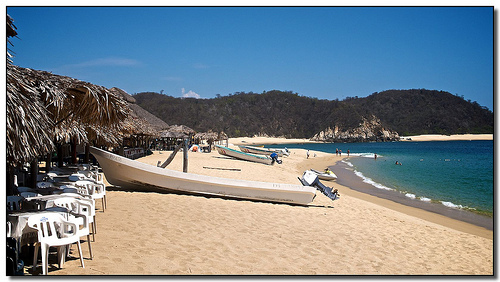 This stunning out-of-the-way beach is considered the most beautiful of all the 9 bays of Huatulco. Whether you arrive by land or sea, Bahia San Agustin will leave you with a feeling of pure bliss and relaxation. Protected by rocky islands and cliffs, Bahia San Agustin is ecologically and naturally beautiful. 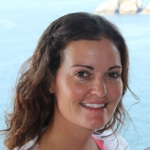 Divers and snorkelers will have many reefs to explore one it’s two beaches; St. Augustine Island and Cacalutilla. St. Augustine Beach is located in the far southwest of the area and is one of the most beautiful beaches in the bay St. Augustine. The beach is 1500 meters long and boasts fine, white sand. The warm, clear waters give off shares of green and blue and have beautiful coral reef to explore. St. Augustine beach is ideal for any type of water sports, especially snorkeling. 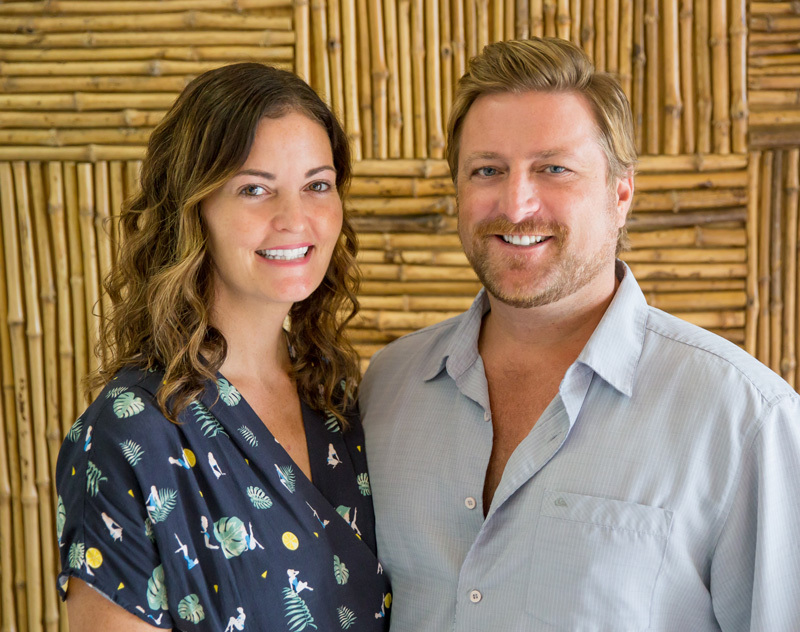 You can rent snorkel equipment and boats on the beach and enjoy the many palapa style restaurants offering authentic Mexican fare, fresh seafood and cold cervezas. Cacalutilla Beach is located north of the St. Augustine Beach and is approximately 200 meters long. Offering the same white fine sand and calm aquamarine waters as it's neighboring beach, Cacalutilla is perfect for swimming, snorkeling and soaking up the sun. 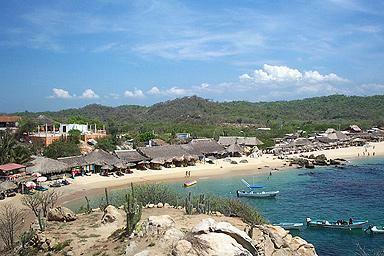 Book a 9-bay boat tour from Huatulco or take a drive and enjoy a full day at Bahia San Agustin. Make Bahia San Agustin a visit during your stay – you won’t be disappointed.